Born in Tokyo, 1985. Art Translator. Graduated from Tufts University with B.S. in Civil Engineering and Architecture in 2008, then got B.A. in Inter media Art at Tokyo University of the Arts in 2013. Tamura tries to expand the possibilities of translation as a creative way of expression by conducting translation, interpreting, editing in Japanese and English, project management, and PR. 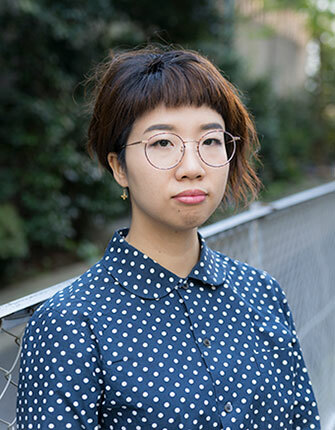 Her recent works and activities are: Translation Director of r:ead [Residency East Asia Dialogue](2014~), Planning, editing, translation for An Overview of Art Projects in Japan: A Society That Co-Creates with Art, Written by Sumiko Kumakura and Yūichirō Nagatsu (2015), Assistant PR of the Japan Pavilion at 56th Venice Biennale (2015), Interpreter and PR of artist-in-residence PARADISE AIR (2014~), Researcher for AURA program at Tokyo University of the Arts (2014).